Saving on shipping time, customs delays and shipping costs. Printed on Hahnemühle Albrecht Dürer paper. 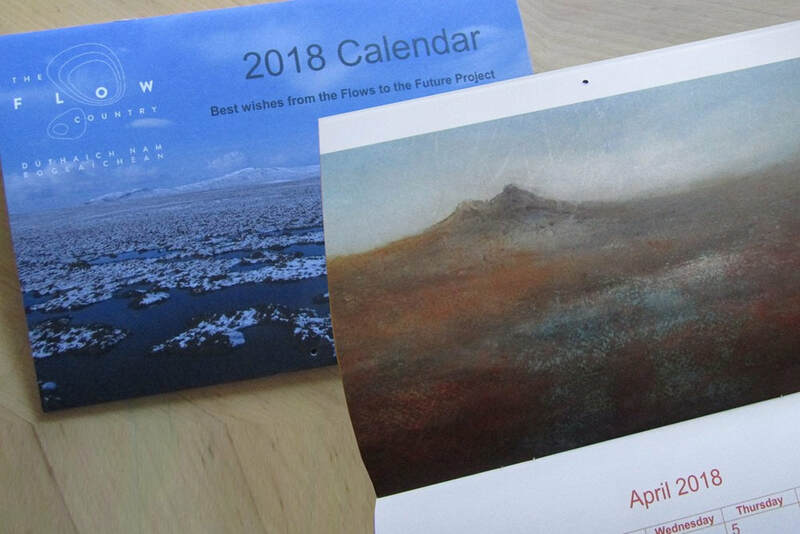 A copy of The Flow Country Caithness Calendar arrived today and I was surprised and delighted that one of my paintings was chosen for the April page. 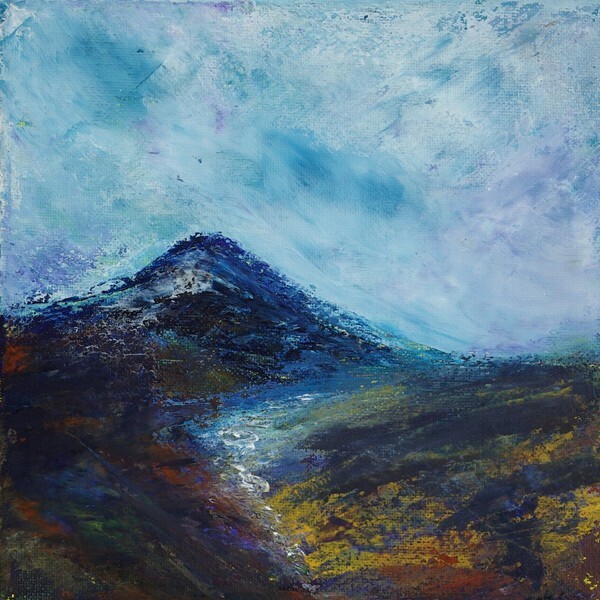 Delighted and surprised that one of my two paintings entered into this years charity exhibition at the Skyeworks Gallery Portree has been chosen by the public as one of the top ten paintings and will be made into greetings cards. 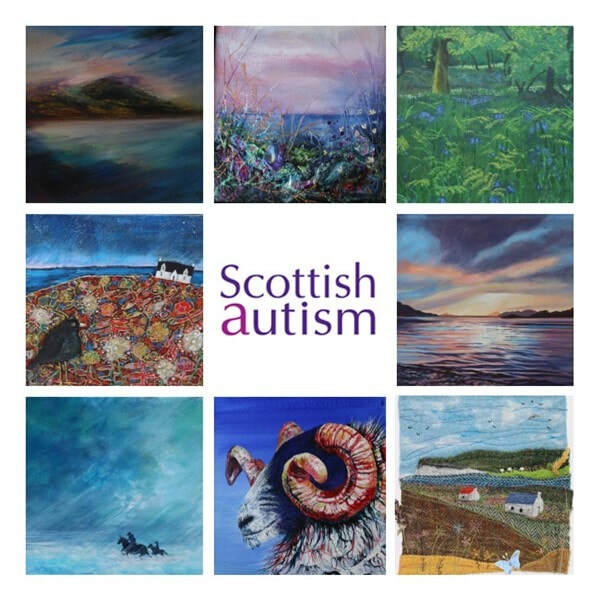 ​Sale of the cards will go to the Scottish Autism charity. 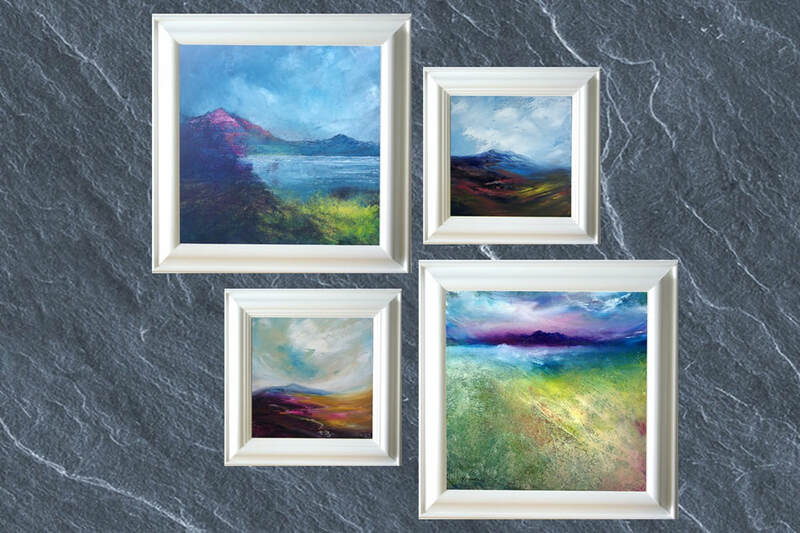 These four atmospheric landscape paintings inspired by the dramatic scenery and changeable weather on the Isle of Skye, will be available from the Skyeworks Gallery, Portree, from 24th April - 20th May. 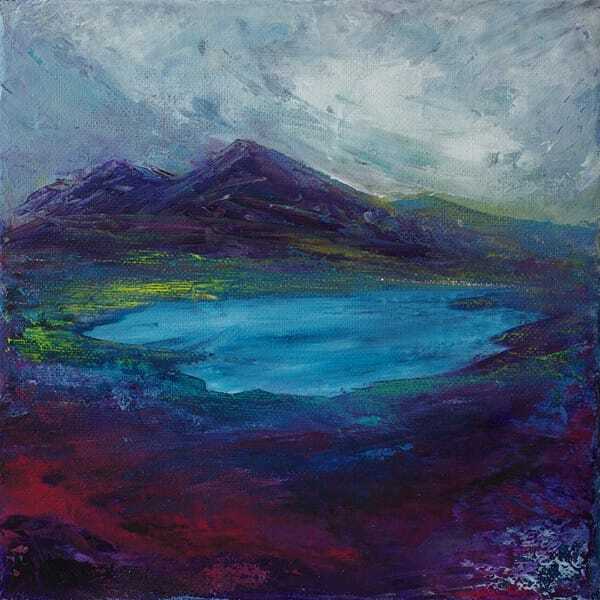 ​In a range of sizes from 8" x 8" to 24" x 24". 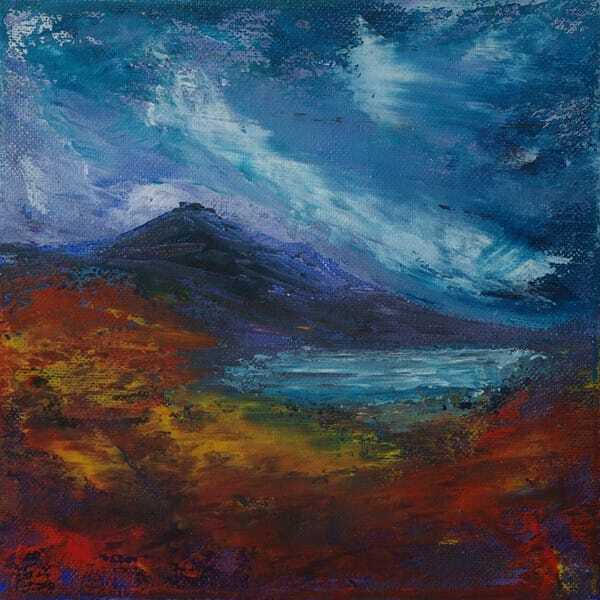 ​Painted in acrylics on lightly textured canvas with white wood frames or box canvas for the larger one. 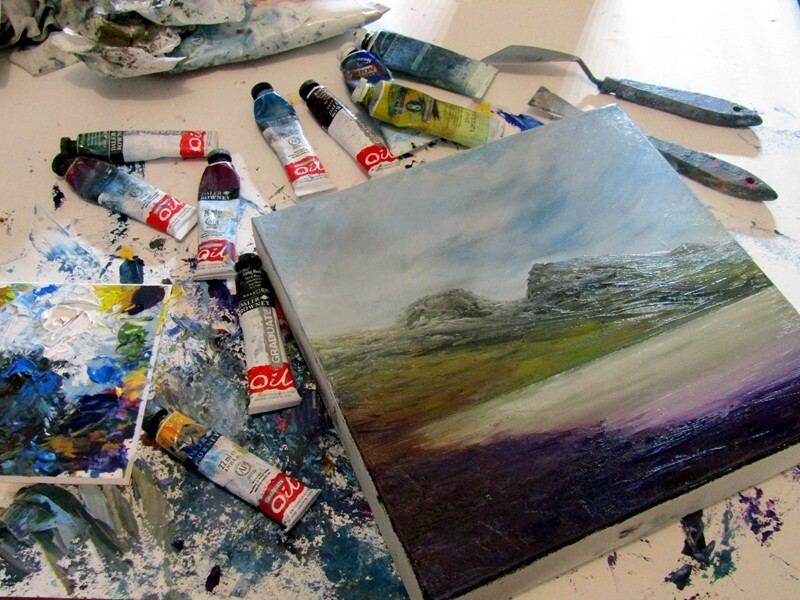 First oil paintings of the year, a couple of mountain landscape studies, of nowhere in particular. 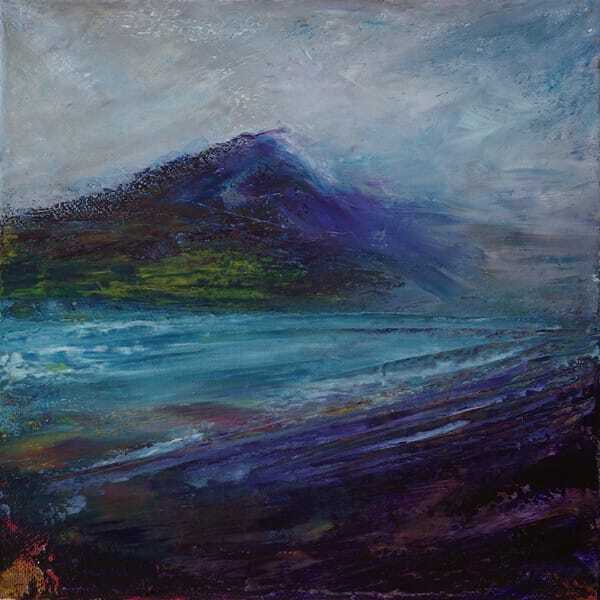 10" x 10". 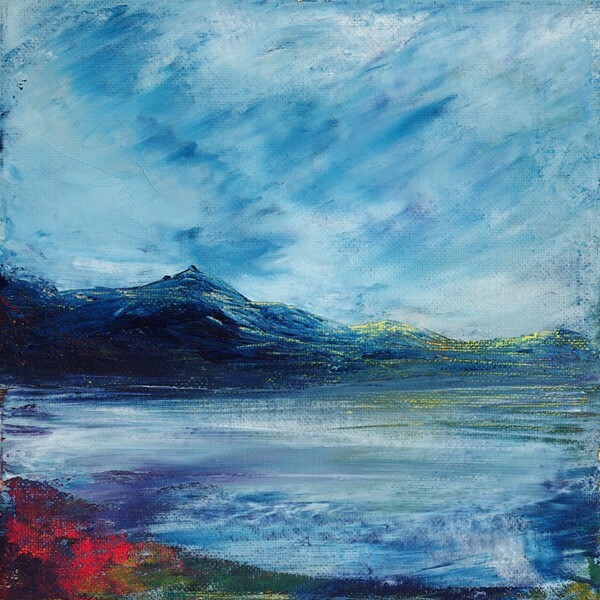 I find oils a lot easier to paint than acrylics but don't often paint in oils as they take so long to dry and I don't have the room to store them whilst drying, and also have to wait ages before I can varnish and sell the them. As usual prints also available. 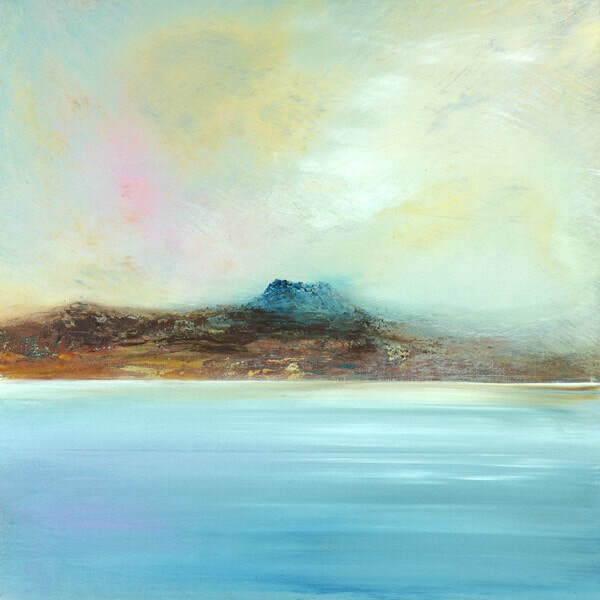 Off to a good start for the year with another 3 small 8" x 8" paintings completed. I even managed to come up with some titles for these. 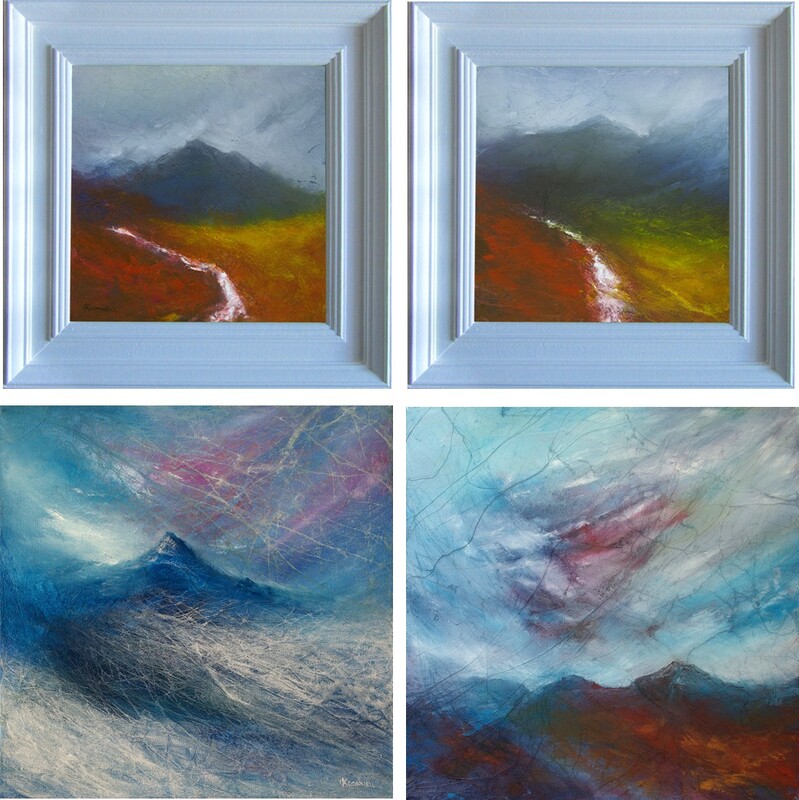 It's been almost a whole year since my last paintings, so to make up here's a trio of small atmospheric mountain landscape paintings that I did yesterday. No idea what they are called yet but will be available as prints when I have thought up some titles, which is usually harder to do than actually painting them. 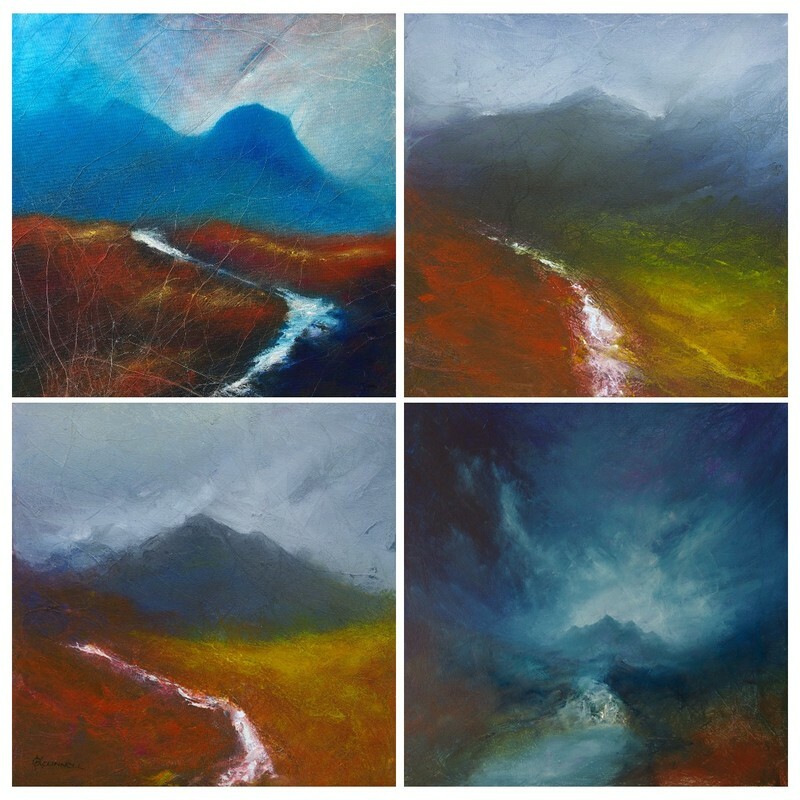 This years selection of paintings off to the 2016 Strathpeffer Art Fair 24th Dec - 27th Dec. Two small 8" x 8" mountain waterfall landscapes, as well as two 12" x 12" of Ben Loyal and Maiden Pap in winter. 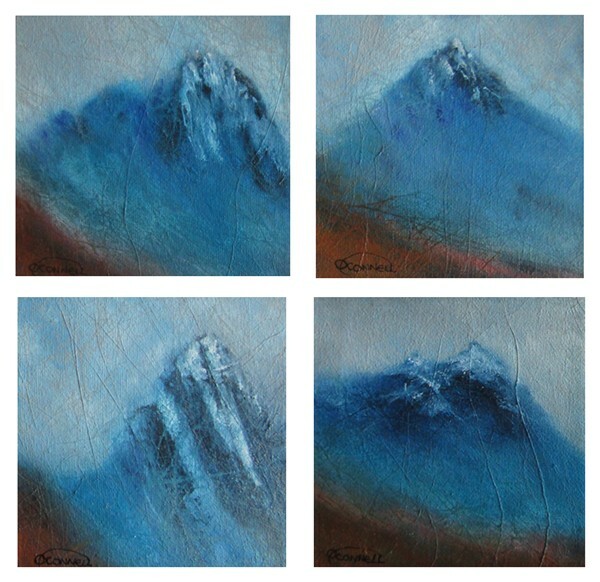 Four small blue Scottish mountain landscape paintings posted off for this years annual CD Exhibition at Inchmore gallery Inverness. 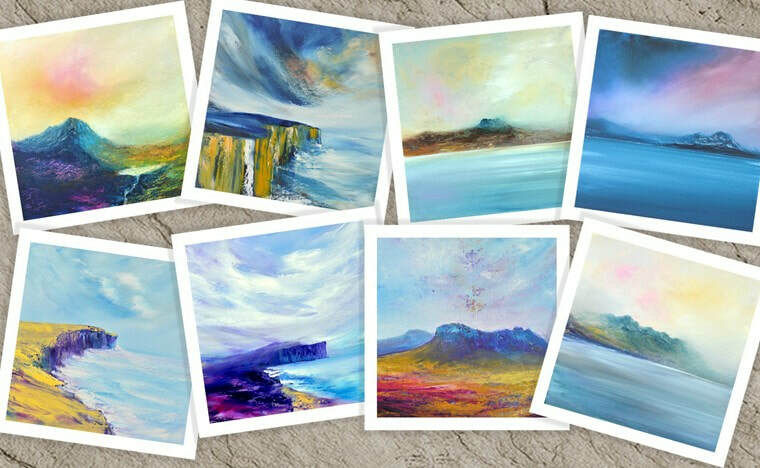 These mini 12cm x 12cm would look great framed in one frame as a set together. 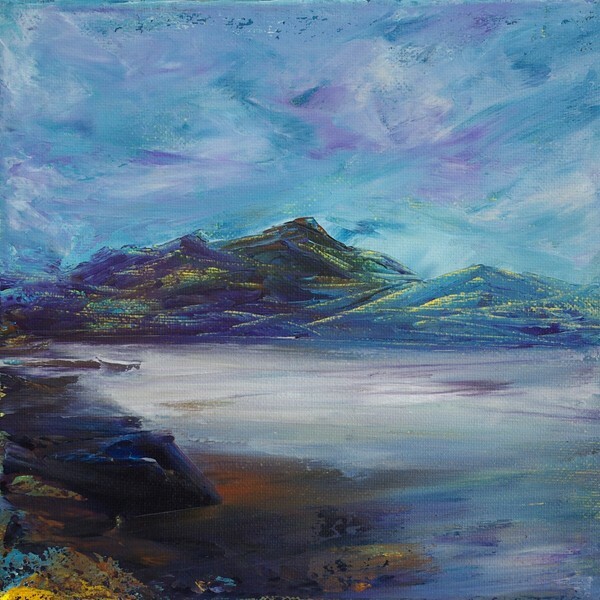 They depict two of Suilven and also Stop Dearg and Bidean Name Bian in Glencoe.